Stay with me, it sounds a little strange, but it is good! Like, really good. Hubby pronounced it really good and looks forward to me making it again good. Cue the angels singing! It is simple too! It’s been beautiful outside so local toddler and I have been spending most of our days outdoors. I was able to fix this meal fairly quickly. 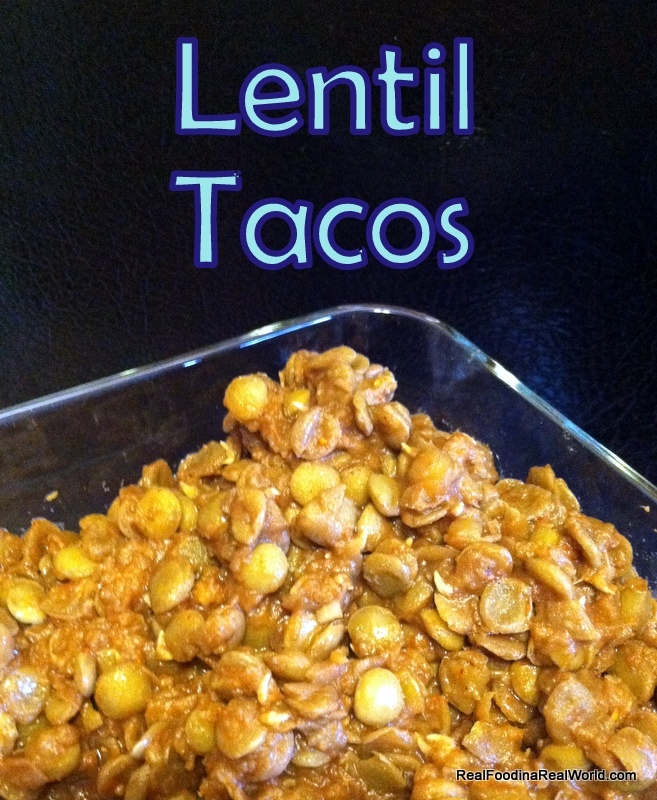 First, you will cook your lentils. Sort if you haven’t already and rinse well. Cook your lentils one cup lentils to three cups water. I kept running in and out of the house, so I actually just brought them to a boil, killed the heat, and let it sit covered on the stove for an hour or so. Then, drain well and add your taco seasoning. Are you making your own taco seasoning yet? Allow me to convince you! Add some water (half a cup or so) to the seasoned lentils and cook on low until the water is absorbed. Done! Enjoy your taco “meat” just as you would any other meat! We topped ours with some Garden Fresh salsa, Calder Dairy sour cream (Tofutti for me), lettuce, tomato, and avocado. Happy Meatless Monday! I love you for this! I’ve been having cravings for Mexican and trying to do vegan options, this looks fantastic! will make it soon and see if the hubby approves too. It is really good. I actually wasn’t expecting it to be so delicious!